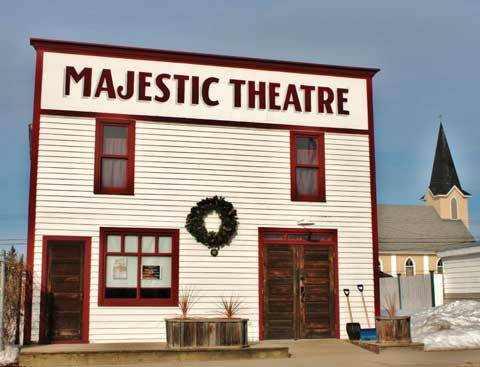 The Palace Theatre in Daysland is redolent with the buttery aroma of popcorn. About 60 of us wait in the theatre’s vintage leather and velour seats for the play to begin. I observe the strange set. Two narrow, eight-foot-tall screens bookend the old-time cinema’s stage. Another horizontal screen spans the width between the two vertical screens in front of the theatre’s main curtain. A tall wooden crate stands upright stage left. As the houselights dim, the image of Jim McCrackin flickers onto the horizontal screen. We’re catching up with the moustachioed hit man after the conclusion of Happy Whackin’ Jim McCrackin, the first production in this action-comedy series by Accidental Humour Co. The Edmonton-based company has a penchant for acrobatic stage fighting and meticulous coordination between pre-recorded film and live action. I doubt any of us have seen the first production, but we’re quickly caught up in the spectacle of McCrackin 2: The Whackining, regardless. “If only I was specially trained for this,” says the McCrackin character, his face and torso illuminated by the flame of a match, revealing the hero sealed in a coffin-like box. “Oh, wait. I was!” The match in his hand fizzles. The screen goes black. And then McCrackin, impeccably dressed in his trademark black tie and suspenders, bursts from the crate as shards of wood scatter across the stage. The interplay between film and live action is seamless. The sounds of rustling paper bags and crunching popcorn abruptly cease. We’re transfixed by the imaginative vision of this youthful theatre company. Daysland, a town of 800 about 40 km east of Camrose along Highway 13, was the last stop on a tour this past November that also took the six-member cast and crew, with their state-of-the-art projectors, screens and props, from Whitecourt to Edson, Camrose and Fort McMurray. It’s unusual for theatre artists from Edmonton or Calgary to venture beyond city limits unless they’re part of a young-audiences production, which have the benefit of more public funding because of their educational mission. 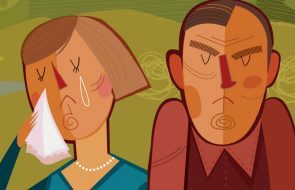 Accidental Humour Co.’s recent foray through northern and central Alberta was orchestrated by three local arts organizations: Theatre Alberta, the Arts Touring Alliance of Alberta (ATAA) and Fringe Theatre Adventures. Together they have created “Picks of the Edmonton Fringe,” a three-year stimulus project to encourage professional theatre to tour venues in smaller centres around the province. If Picks of the Fringe succeeds in making rural audiences hungry for Alberta theatre, this could translate into more artists making a living at their craft, both by extending the life of existing productions and providing more support for the creation of original work. Picks of the Fringe could encourage more Alberta stories and voices to find expression on the province’s various stages. If Picks of the Fringe succeeds in developing a network of rural audiences, more Alberta theatre artists could make a living at their craft. It’s a gutsy and ambitious idea that draws on the acumen of all three organizations. If Theatre Alberta is the brains behind Picks of the Fringe, then the ATAA is the brawn and Fringe Theatre Adventures is the heart. Theatre Alberta, a non-profit society dedicated to nurturing the province’s theatre community, is sourcing the funding for Picks of the Fringe and invented the methodology for delivering theatre to diverse and dispersed audiences. ATAA’s membership is composed of presenters who book acts to perform at the 100 or so venues beyond Calgary’s and Edmonton’s city limits. These presenters, the majority of whom are volunteers, are the gatekeepers to the two million Albertans living outside the two biggest cities. And Fringe Theatre Adventures, which runs the annual Edmonton Fringe Festival, supplies the stimulus project with an inexhaustible supply of original Alberta plays. The Palace in Daysland is part of the network of 100 rural venues, which includes purpose-built theatres, retrofitted cinemas, community halls and rec centres. Some are professionally run theatres, such as Keyano in Fort McMurray, with paid artistic directors and technicians. But for 80 per cent of these cultural nodes, everyone from the ticket taker to the projectionist, popcorn popper and sound checker is a volunteer. Built in 1952 and run as a cinema until 1996 by two successive generations of the Tury family, the Palace Theatre languished for three years until a group of citizens persuaded the town to help save the cultural landmark. 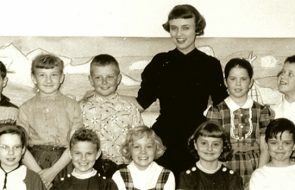 DaysArts, a not-for-profit, volunteer-run society, became the custodian of the Palace in 1999. The group presents weekly movies, an annual concert series featuring six performances, and other community events such as a summer arts camp. “We have 230 seats in this theatre and we have about 224 season ticket holders,” reports Sharon Eshpeter, chair of the DaysArts board. “There’s very good community support.” Eshpeter estimates that DaysArts draws on a pool of 100 volunteers—impressive for a town of 800. Measuring 25 feet deep and 32 feet across, the stage on which McCrackin outwitted his hook-for-a-hand nemesis this past November was built in a single day by over two dozen Dayslanders in March 2001. It is this kind of loyal audience, where community members don’t miss a performance and do contribute to the theatre’s upkeep, that Picks of the Fringe is designed to connect with. 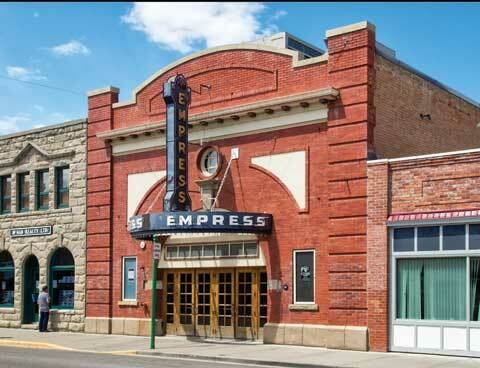 Venues such as the Palace are a largely untapped market for Alberta’s own theatre artists. The province has a healthy amateur theatre tradition with dozens of community troupes presenting plays on their local stages. Professional theatrical productions, however, are few and far between and invariably by artists from outside the province. The acts touring these locales are usually musicians. One big reason musicians are so popular with rural venues—and theatre gets short shrift—is that presenters prefer to book what the industry calls one-night stands. There just aren’t enough people in places such as Daysland to fill a venue for more than a single performance by any one artist. A theatrical production can take days to set up and dismantle. It’s not practical to invest those resources for a one-off show. The ace up Alberta’s theatre-touring sleeve is the Edmonton Fringe Festival, an internationally celebrated wellspring of theatre known for adapting to new and unusual spaces. 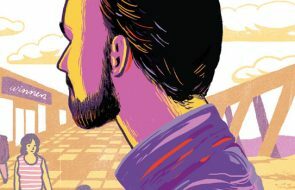 “Maximum tech time to set up your show is three-and-a-half hours,” says Aaron Talbot, communications point man for Theatre Alberta. “Once the festival is on, you have 15 minutes to get in and then 15 minutes to strike,” he says, describing the breakneck pace for setting up a Fringe production. The versatility and minimal set-up times for Fringe productions solves the one-night-stand conundrum. An estimated 100 new plays were created for the 10-day 2014 Fringe. Part of what set Picks of the Fringe in motion was widespread enthusiasm for Jake’s Gift. The one-woman play by Vancouver’s Julia Mackey has been touring Canada since 2007 and has performed in over 200 communities. The story about a Second World War veteran returning to Juno Beach for the 60th anniversary of the D-Day landings struck a chord with rural Albertans. Presenters began approaching Theatre Alberta for more plays. “If you’re Theatre Alberta, you can only hear for so many years that people are looking for more theatre before you figure out how to get theatre to them,” says Keri Mitchell, executive director of Theatre Alberta. With evidence of this growing appetite and the realization that the Fringe had no end of original, easy-to-tour Alberta plays, Theatre Alberta devised a way to connect the supply with the demand. The 100 or so rural arts venues’ presenters are gatekeepers to the two million Albertans outside the two big cities. The five core members of Accidental Humour Co. first met while studying theatre at the University of Lethbridge. Originally from small towns Stettler, Picture Butte, Cochrane and Forestburg, the young actors all found themselves reunited in Edmonton a couple of years after graduating. The newly formed troupe began creating their multimedia extravaganzas for the Fringe Festival in 2009 and decided early on they would also return to their hometowns to present their work. Beginning with the Fringe Festival in 2013, Theatre Alberta assembled a Picks of the Fringe jury composed of presenters from rural venues who would attend the festival and select three Alberta plays. The Fringe is a veritable galaxy of theatre—some wacky, some heartfelt, some serious and some way off in outer space. The jury was struck to help identify the next Jake’s Gift, those productions that would resonate with rural Albertans. The jury’s top three selections are then previewed in the fall at Alberta Showcase, the ATAA’s signature event. Showcase is an annual weekend conference where artists from across Canada and beyond converge to perform for Alberta presenters booking their upcoming seasons. By the end of the project, rural presenters will have had the chance to book a total of nine Fringe plays over the three years. 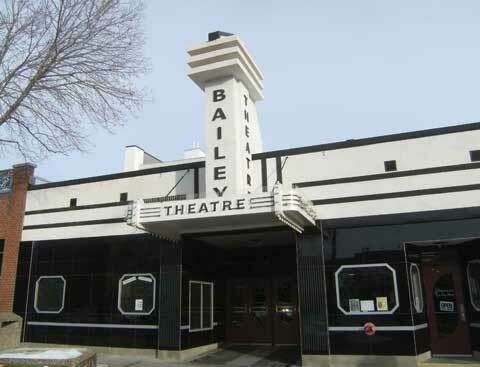 Theatre Alberta’s initial goal was to secure a minimum of 12 stops for each tour. McCrackin 2 performed in five communities in early November, and for a sixth time, which wasn’t officially part of the Picks of the Fringe project, in Westlock, in March. Never Let the Crew See You Cry, by Linda Woods Edwards, toured seven theatres in February. The last production of the first crop of Fringe plays was the Bomb-itty of Errors, a self-described “ad-RAP-tation” of Shakespeare’s A Comedy of Errors that stars several Edmonton hip-hop artists. It too garnered seven bookings and completed its tour in April. With the help of a grant from the Alberta Foundation for the Arts, the stimulus project subsidized half the cost of touring this first series of three productions. And yet the buy-in from presenters fell short of expectations. With consistently sold-out concert series, many presenters are reluctant to take a chance on a Fringe show. Despite a softer uptake than initially anticipated, Theatre Alberta is confident in the project’s ultimate success. “It’s our firm belief that as soon as Alberta theatre starts going to those communities, as soon as the people see it, they’re going to want more and they are going to want it to come back,” says Talbot. By the end of the project—the last Fringe show will tour in the spring of 2017—Theatre Alberta also plans to have created a resource for artists from all their hard-won touring experience. “We’re working towards a ‘Here’s-how-you-self-produce-a-tour-in-Alberta-for-theatre-artists’ kit,” says Keri Mitchell. Although the stimulus project draws exclusively from the Fringe, the objective is to lay the groundwork for any and all Alberta theatre artists to hit the open road. After McCrackin bests the lumberjacks, luchadores, ninjas, ski-masked security guards, yakuza and malevolent surgeons guarding the once thought to be impenetrable skyscraper and rescues his newborn son from the hooked grasp of an eye-patched super villain, the houselights come up to enthusiastic applause. Sharon Eshpeter booked McCrackin 2 outside of DaysArts’ regular concert series as a special event for the local 4H club. The 60 people in the audience were not enough to cover the costs of booking the show, Eshpeter said. I meet the Holben family as we’re getting up from our squeaky seats. A crowd of kids has already mobbed the stage for a question-and-answer session with the cast. “Seeing how well this one was put together, I’m quite looking forward to the next one,” says Logan, Cheryl’s and Darren’s teenaged son. “That was the best,” offers his younger sister Raegan. “I thought it was just a one-man show,” says Darren. “I expected to see some guy on a unicycle, juggling, singing and stuff.” Darren explains that although he has been to the Fringe Festival in Edmonton, he has only seen the outdoor street performers. He didn’t realize that another world of theatre unfolded in dozens of indoor venues. “Will the third one be out for the Fringe this summer?” asks Cheryl. “I’ll have to go ask him.” She heads toward the stage to find Willy Banfield, who played McCrackin, with the rest of the Holbens following close behind. Doug Horner, Alberta Views’ former departments editor, is a writer who divides his time between Calgary and Lethbridge.